TROY, EDWARD, Roman Catholic priest; b. c. 1797, probably in Ireland; d. 2 April 1872 at Torbay, Nfld. Nothing is known of Edward Troy’s birthplace, family background, or education. He was ordained at Carrick-on-Suir, in the diocese of Waterford and Lismore, Ireland, by Bishop Michael Anthony Fleming* of Newfoundland; shortly afterward he sailed for Newfoundland where he landed in May 1831. 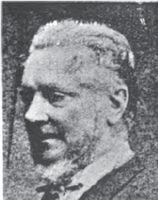 He served as priest and assistant to Fleming at the chapel in St John’s. His zeal and energy were soon evident. In October 1833 Troy presided at the dedication in Portugal Cove of a church whose completion the Newfoundlander credited to his efforts. Edward Troy became known, however, chiefly through his political activities in St John’s. The granting of an elected assembly in 1832 had only emphasized the many divisions in Newfoundland. The colony was increasingly split between the Irish Catholics, mainly fishermen and labourers, influenced by their priests, and the educated and prosperous, both Protestant and Catholic, who were primarily merchants and often English. The Patriot had become the newspaper of the former; the Public Ledger, the focus of Protestant and conservative opposition. Troy clashed first with Governor Thomas John Cochrane. Early in 1834 the Patriot published letters of “Junius,” accusing the governor of bigotry and injustice. Cochrane was about to sue John V. Nugent, co-proprietor of the Patriot, when Troy admitted authorship. The governor instituted a libel suit against Troy. 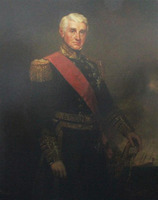 It was dropped when Cochrane was replaced by Henry Prescott. There is evidence that Cochrane thought he owed his hostile, mud-spattered send-off from St John’s in November 1834 partly to an inflammatory sermon by Troy. Troy’s next antagonist was Henry D. Winton*, proprietor of the Ledger. In December 1833 Winton had praised Troy’s moderating influence in helping to disperse a mob besieging Winton’s premises because of his denunciation of Fleming’s electoral intervention. But by early 1835 the Ledger was reporting that Troy was forbidding his congregation to subscribe to the paper, denying religious rites to Catholics who supported its political sentiments, and prohibiting trade with them under threat of excommunication. In a sermon quoted in the Ledger his bent appears: “I’ll put the fear of God in them, and if that does not do I’ll put the fear of man in them.” The risk of financial ruin and starvation was real for those who failed to obey. The Ledger regarded such use of religious authority as an attempt at political dominance. By spring 1835 even the official newspaper, the Royal Gazette, was alarmed for the freedom of the press and for the whole colonial society. When Winton was assaulted on 19 May by ruffians who cut off his ears, the governor and others blamed the crime on the repeated tirades of Troy and other priests. The final phase of Father Troy’s political career centred on Henry John Boulton*, chief justice since 1833. The Catholic reformers thought him harsh and unfair in the exercise of his office, and he had been subjected to constant attacks, especially by the Patriot. In 1835 he charged its editor, Robert John Parsons*, with contempt, heard the case, and convicted him. Troy joined the Constitutional Society which sought Boulton’s removal, and subscribed on Fleming’s behalf to its fund to pay Parsons’ fine. By December 1837 an impasse between the assembly and the Legislative Council, of which Boulton was president, and his continued judicial severity impelled the assembly to send Carson, Morris, and Nugent to England to press for his removal. Boulton crossed the Atlantic to defend himself. Bishop Fleming joined the assemblymen and from London wrote to Troy with news and also instructions that indicate Troy’s influence with the assemblymen in St John’s. Troy campaigned against Boulton by sermons and petitions displayed in the chapel for signatures. When word reached St John’s in August that the British government had dismissed Boulton, Troy ordered a Te Deum. His actions aroused further anger and anxiety in Newfoundland. The Colonial Office had already sought Troy’s removal, in 1836 and in 1837, and through the Foreign Office had got the Congregation of Propaganda to request Fleming to control the political activity of his priests. The mounting disorder in Newfoundland and the threat to its prosperity led the Foreign Office to take final steps to make Rome fully aware of Troy’s actions. A decision to remove Troy from St John’s was apparently made; his name disappears from newspaper reports and it seems probable that early in 1839 Fleming ordered him to Merasheen Island in Placentia Bay. After 1839 Troy appears to have been out of favour for a while. He was not mentioned as present at the laying of the foundation stone of the cathedral in St John’s in May 1841. From 1848 on he once more took part in major annual religious celebrations in St John’s, and was also noted as assisting at other important services in the 1850s and 1860s such as the consecration of the cathedral in September 1855. Father Troy’s energies were channelled into parish activities. In his seven or eight years at Merasheen he built a church and presbytery. Then he moved to Torbay as parish priest for his last 25 years. There he replaced the existing wooden church with a stone one, consecrated in October 1863. In 1865 a convent and school house, with four nuns of the Presentation Order, were established at Torbay. Michael Francis Howley*, in his Ecclesiastical history of Newfoundland, credited him with a spreading of the Catholic faith in the area, and told of often seeing him walking the nine miles back from St John’s carrying a sack of nails. A deed of property drawn up 28 May 1870 reveals that Troy focussed much of his energy upon acquiring land in Torbay and erecting a permanent presbytery to ensure the presence of a Roman Catholic priest. Single-minded energy, discipline, sacrifice, and pride are all manifest in his chronicle of privations and achievement attached to the deed. “. . . owing to the failure of the fisheries and consequent decrease in the revenues of the Parish, I was compelled to use the poorest description of food nor could I afford to procure sugar for my table and was obliged to use molasses . . . . I was often pained when visited by priests at not being able to give them a dinner nor even a glass of wine but so anxious was I to leave a dwelling House for a Priest that I joyfully submitted to these privations.” Years of work enabled. him to transfer ten acres of land (Father Troy’s farm), a dwelling, coachhouse, and outhouses to a group which included his brother-in-law John Delaney*, postmaster general of St John’s, and his nephew Father Patrick Delaney, to be held in trust. By this time his powers were declining, but he served until his death at the age of 75. 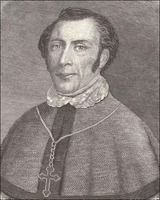 Bishop Fleming had lauded Troy as Newfoundland’s most zealous missionary. His obituary in the Newfoundlander paid tribute to the warmth, simplicity, and kindliness which won him the veneration of the lowly. For more than forty years he had been an energetic, ambitious pioneer of Roman Catholicism in Newfoundland. Archives of the Archdiocese of St John’s, Deed of land of Edward Troy (includes autobiographical material). PANL, material gathered on Edward Troy from various files. Newfoundlander (St John’s), 1831–43, 1837–38, 1845–70, especially 31 March, 30 April 1869; 5 April 1872. Public Ledger (St John’s), 1833–40, especially 24, 27 Feb., 6, 17 March 1835; 25 March, 7 Oct., 22 Nov. 1836; 7 Feb., 7 July 1837. Royal Gazette (St John’s), 1833–35, 1837–38. G.B., Parl., House of Commons paper, 1839, XXXIV, 525, pp.565–94, Newfoundland: return to an address of the honourable the House of Commons dated 12 July 1839; – for, copy of any addresses received at the Colonial Office from the Legislative Council or Assembly of Newfoundland, or from public bodies of individuals in that colony, relative to the state of affairs there. Gunn, Political history of Nfld. M. F. Howley, Ecclesiastical history of Newfoundland (Boston, 1888). “The new church at Torbay,” Newfoundland Quarterly, XXI (April 1922), 12. Phyllis Creighton, “TROY, EDWARD,” in Dictionary of Canadian Biography, vol. 10, University of Toronto/Université Laval, 2003–, accessed April 24, 2019, http://www.biographi.ca/en/bio/troy_edward_10E.html.